ROK Mobile is a California communications company committed to delivering the best mobile entertainment products and services to their customers for an affordable price. 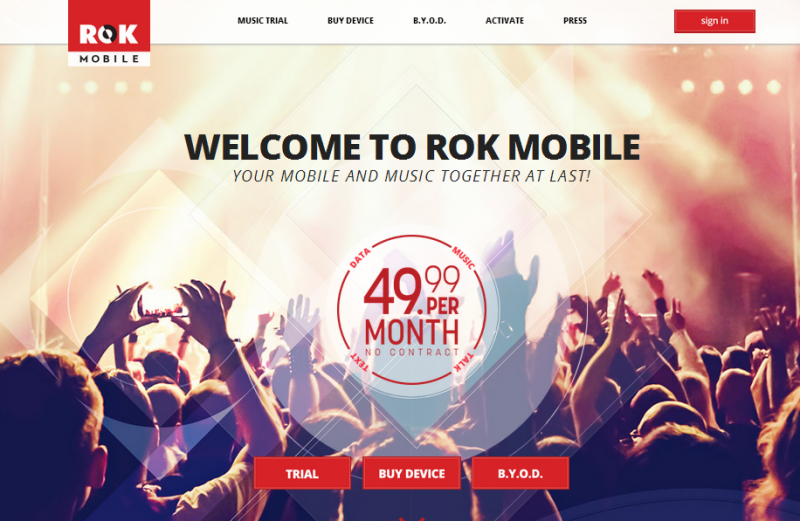 ROK Mobile is the first company to offer unlimited Talk, Text, Data and Streaming Music with no contract for one low price. ROK Mobile enable their ‘audience’ to create radio stations from artists, songs or genres and then personalize them on the fly with our ROK Mood Grid and filter stations by popularity, similarity and era. With 20 million+ tracks of music ROK Music has all the features music lovers want, including the ability to favorite, create collections, stream radio and download tracks for offline play. ROK Mobile was founded by entrepreneurs John Paul DeJoria (Patron and Paul Mitchell Hair care) and British serial entrepreneur Jonathan Kendrick.